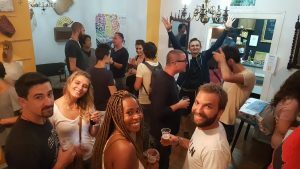 The first Digital Nomad meetup in Lisbon actually had taken place through NomadList in October 2015. 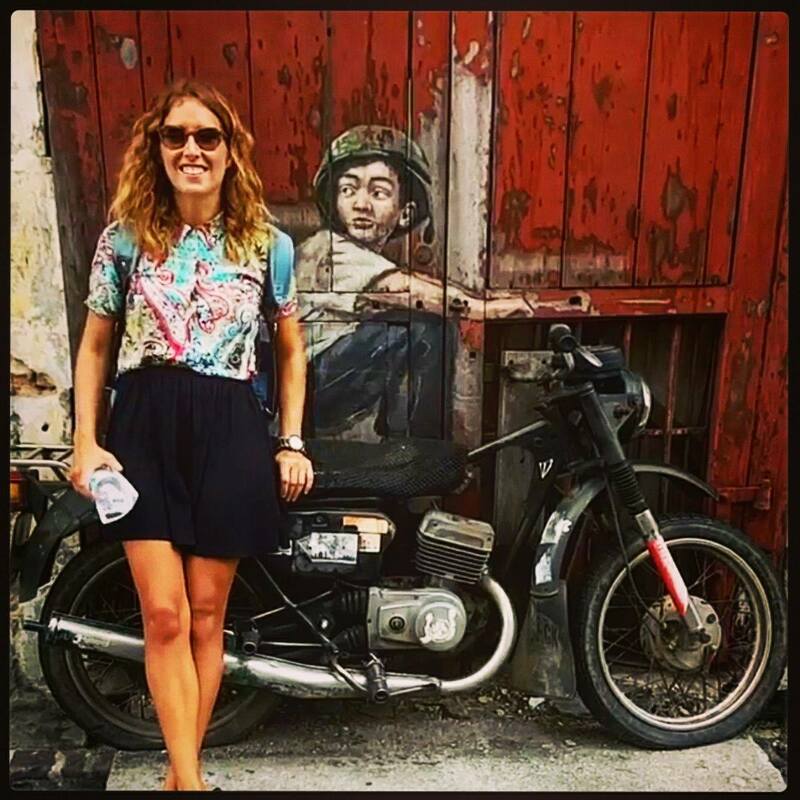 I had just began my Nomadic + Freelancing Journey myself and wanted to meet more people. 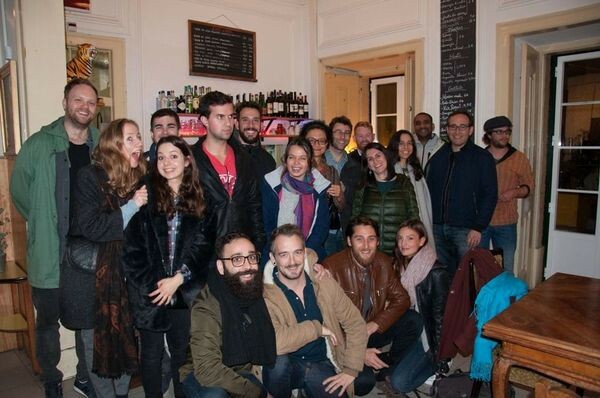 Next to the place I was staying, there was a hostel with a bar, and they were happy to host the meetup. I didn’t know many other people with a similar lifestyle, so I pinged Pieter from NomadList so it would reach more people. I also shared the event everywhere I thought it made sense, and even hung up some printouts of the event (QR code and all, LOL) at cafés where I’d see some other people working from their laptops. I made sure there were a few speakers at the event too, such as Brian Mossotti (an Equity Trader) and his Wife Sarah (A real estate agent), we also got Will from The Broke Backpacker to tell us how to monetise your travel blog via Google Hangout. Surprisingly and unexpectedly, loads of people showed up. This was promising! I ended up organising two other meetups during the next summer of 2016, the second meetup had quite a big turnout. Over 120 people came to see Johnny FD and Tijana Momirov speak at Fabrica de Startups Lisboa. Here are the slides. 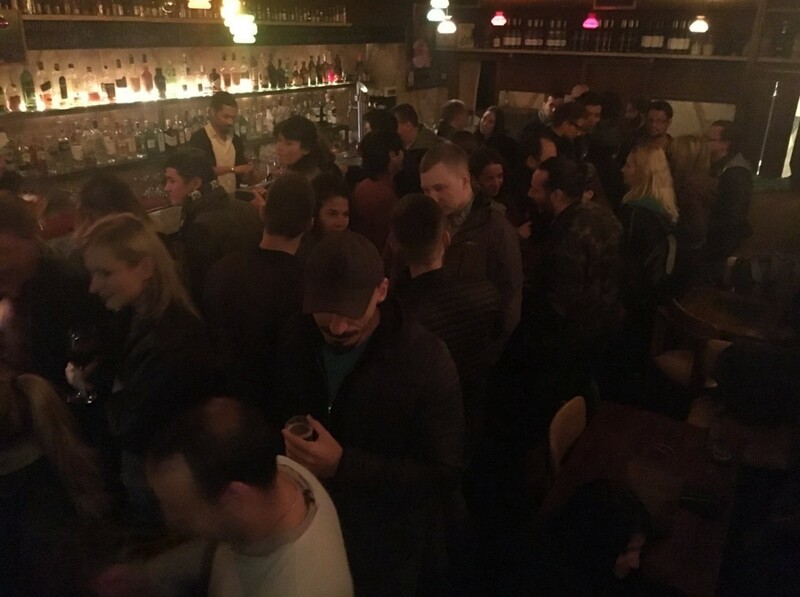 The second meetup of 2016 was at the same hostel as the very first meetup in 2015. I was just looking at this particular photo and noticed almost the entire Marketing Team I now work for 2 years later (Thrive Themes) is on there. That’s the night I met the CMO who recently reached out to me to do their Affiliate Marketing. It just shows how you never know what these meetups can bring you. 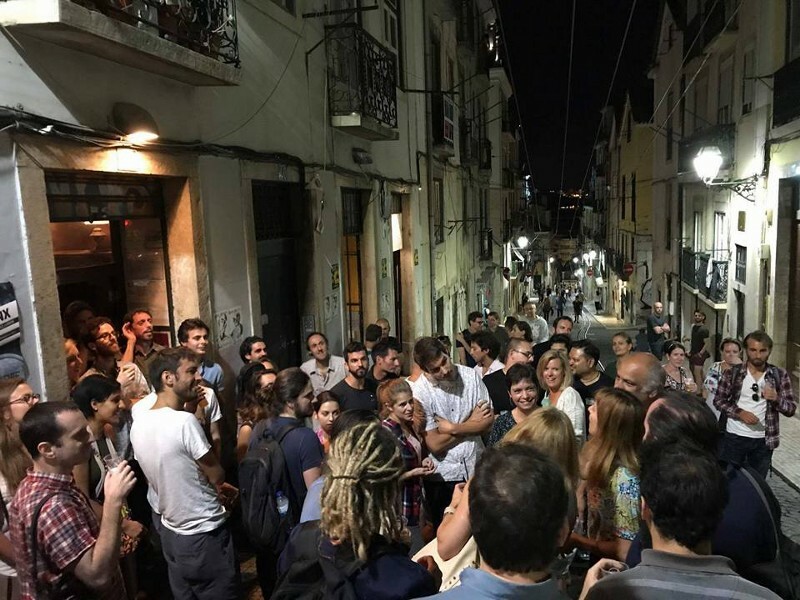 It was great to see that there was potential for these meetups, and being half Portuguese, I found it important that people would enjoy their time in Lisbon and that there was a way to also connect the local startups and freelancers to the Nomad Community. 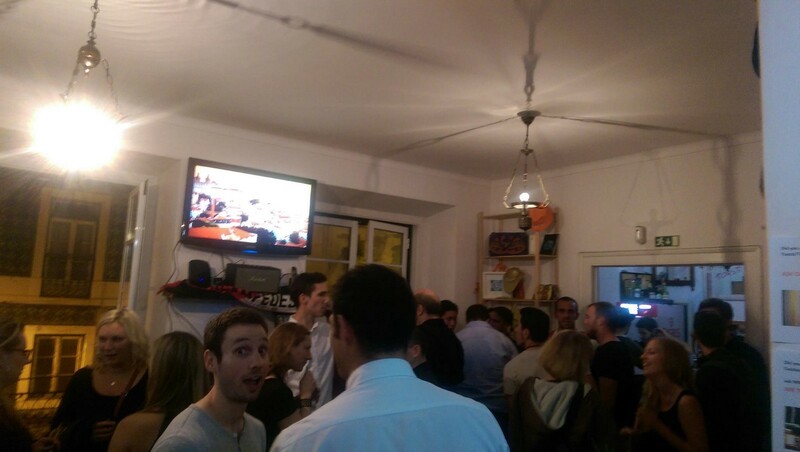 The Lisbon Digital Nomads meetup Group was initially started by Ioannis Papoutsis in April 2016, with the first meetup in June starting with a blast with nearly 50 attendees at Primeiro Andar (one of those rad places that unfortunately closed en became a hotel). At the time, he was co-founding Terminal 3, a Travel Program for Professionals much like commonly known RemoteYear. Ioannis continued for a few months until he left with his group of travellers of Terminal 3. Ash and his wife Zara had decided that after 5 years of roaming around the world, Lisbon was going to be their base for a while so by January 2017, he took over the group to start organising Monthly Nomad meetups. It started out really nicely, especially for winter time. You can read Ash’s full story about this here. Look at the amazing growth of the community since it started. Come May 2017, I came back to Lisbon and joined forces with Ash. By July we were organising the meetups on a weekly basis, coworkingdays, other events like dinners etc. It seemed the group of attendees just kept growing more and more over the summer. 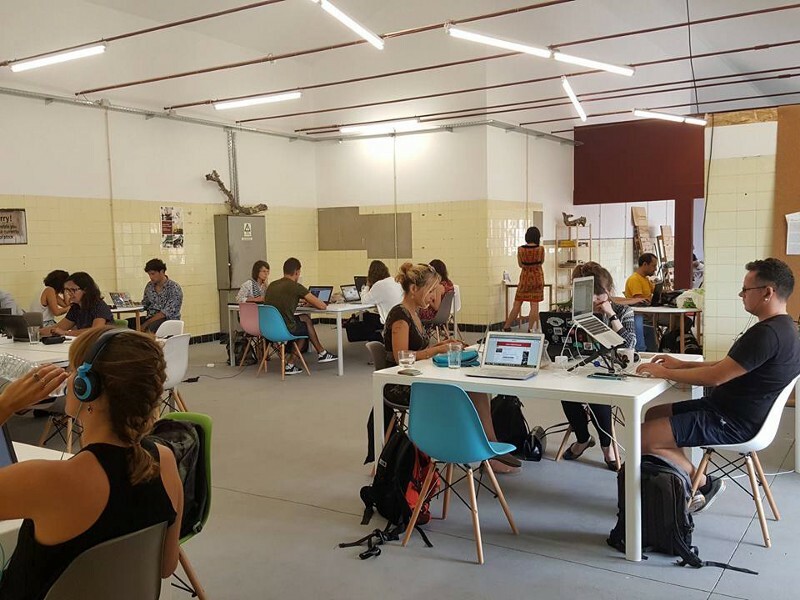 The summer of 2017 must have been the time that Lisbon officially became a “Nomad Hub”. The vibe was great, diverse and positive. 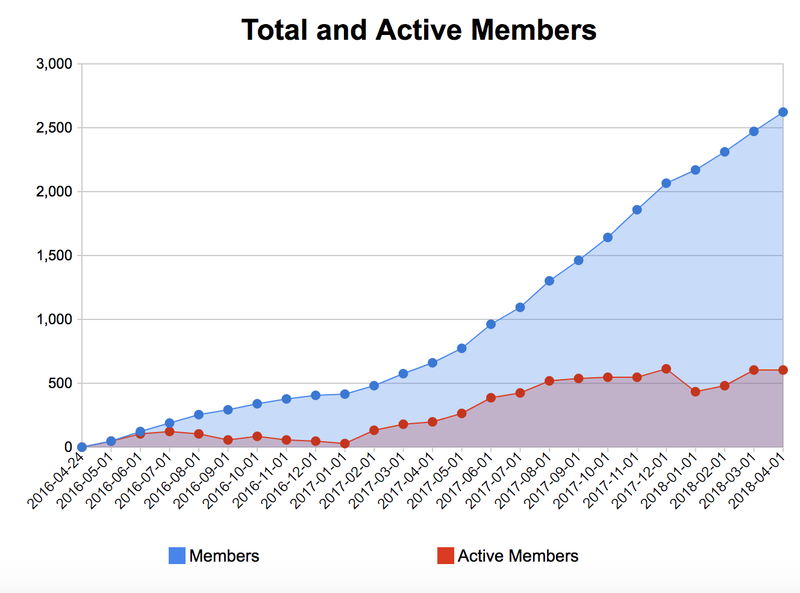 Weekly meetups would have huge turnouts, some has around 60–80 attendees, some 110–120 people. People started reaching out because they wanted to help organise these events and help continue the momentum. Nyah Pham, who works online as a consultant but was turning Lisbon into her base, was the first addition to the team, and others followed. Awesome meetups were organised by Kat Stroehm and Claire Marchall too, and at the time of writing this, Louise Hendon and Olivia Bentan (and of course Ash and Nyah) are still part of the team. Our intention really is to create something cool for people, a meetup where people can connect, meet others to explore the city together, work together (and yes there are nomad couples thanks to the meetups 😀 ). All this illustrates how Nomad Hubs Communities can be created. I sometimes go to cities that lots of nomads visit, but no one meets or even gets to know each other. It’s interesting to see that even with a combination of “Slowmads”, Expat and Nomads who do move every 1–3 months, together can take initiative and create great excuses for people to get to meet each other and connect. 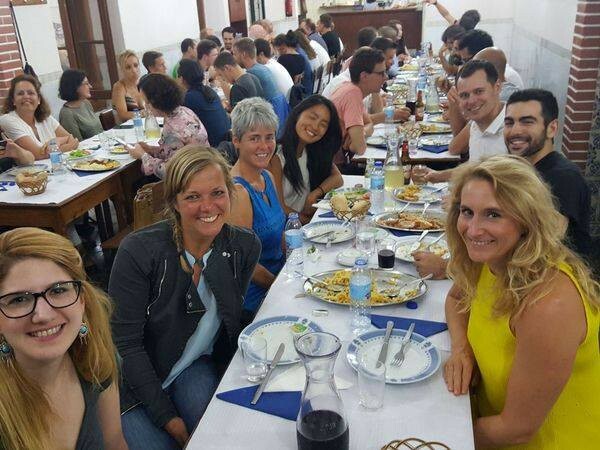 Thank you to everyone who helped turn the Nomad Community of Lisbon in such a fun and interesting crew. 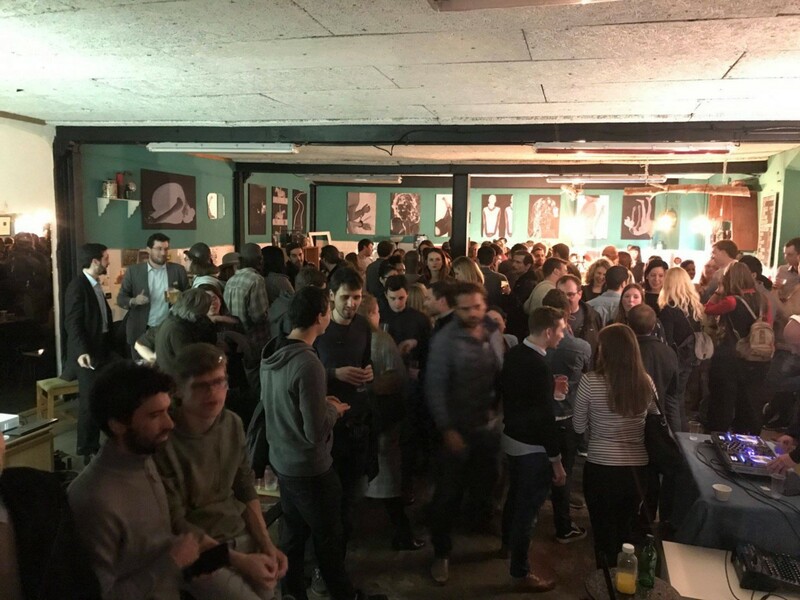 Thank you to the people who come to the events, the people who share the events, the venues, the coworkingspaces and everyone else! Thanks to the team for working so hard on creating these events in your spare time! 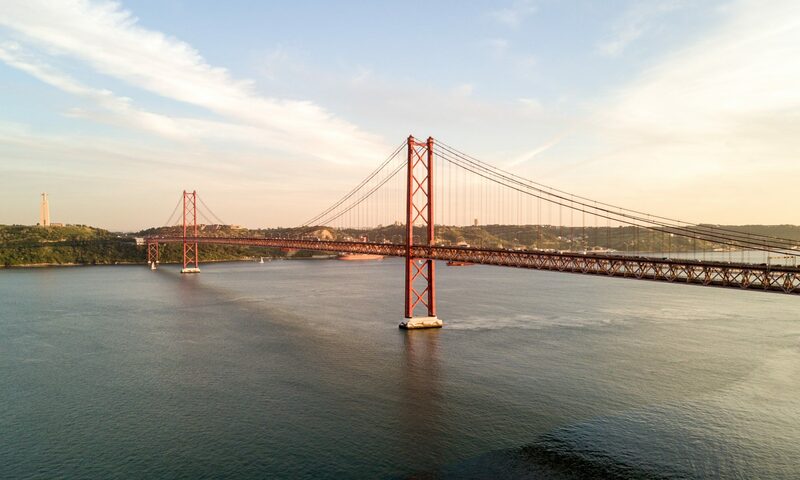 If you haven’t been to Lisbon yet, we hope to be able to give you a warm welcome into the Lisbon Digital Nomads community. Dutch/ Portuguese wifi junkie, find her wherever the sun DOES shine and try to beat her at Fussball if you dare. Favourite food: All of it. Ah right, and she’s been an Online Marketer for 9 years, nomadic since May 2015.